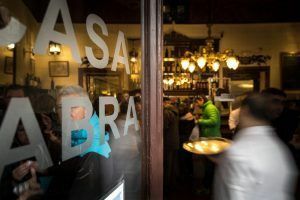 At our Madrid tapas tours, we not only offer some of the best Spanish tapas in Madrid, but we also like to share the culture and customs behind going out for tapas in Madrid. Today’s post is going explain a series of unwritten norms or ethics for going out for tapas, or tapas rules, which we definitely abide by during our Madrid tapas tours. As the Romans said, what would life be without rules?, as we say, what would going out for tapas be without tapas rules. Do not use utensils with the exception of small forks or toothpicks; having tapas with your hands is the most common way. We have tapas at the bar, always standing up. We order tapas all at once; therefore they gradually arrive at the table so they do not all get cold at once. The napkins are made of paper and you must throw them on the floor, as well as other tapas fragments such as shrimp peels or olive-pits. A variety of tapas must be ordered when going out for tapas, especially in a group, such as fish, pork, chicken, vegetables, tripe etc…, as we say at Native Spanish Tapas, “land, air and sea creatures”. We eat, drink and chat; it’s ok to talk with food in your mouth as long as you elegantly cover up your mouth with your hand or a napkin. Going out for tapas means doing a tapas crawl or a tapas trail, it can take a few hours. We can have beer or wine, or wine and beer, or a beer here, a wine there, a beer again over there followed by a wine in the last place, it’s ok to mix because the tapas absorb the alcohol anyway. There is no set time of the day for going out for tapas, when you’re hungry you just go. 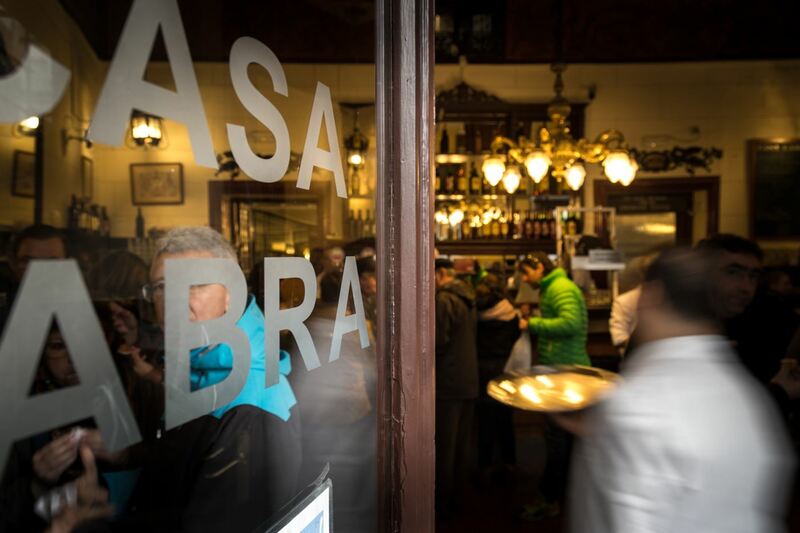 Lastly of our tapas rules is a must: smile, laugh and enjoy some of the best tapas in Madrid. Join us for one of our many Madrid tapas tours! ¡Hasta luego!